The total fee for Women’s Leadership Academy is EUR 4,300. This fee includes the course fee, all training materials, and full-board accommodation in single rooms for the time of training. Accommodation is included in the cost of the fee. 7+ years of working experience. -	7+ years of working experience. - The language of instruction will be English and no translation will be provided; however, no proof of English certification is required. -	The programme is intended only for women. 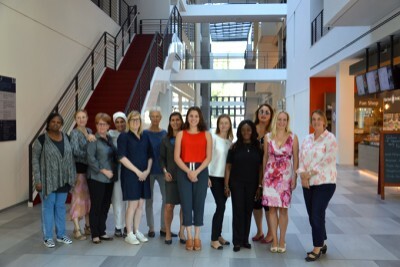 The Women’s Leadership Academy aims to maximize the participants’ leadership effectiveness, through a unique combination of coaching, networking, analytical reflection and tailor-made personal development. With peers from all over the world, senior female managers are equipped with the necessary intellectual tools to break through that infamous “glass-ceiling”, creating sustainable value for their respective organizations. The Women’s Leadership Academy is designed for functional and senior managers, with at least 7 years of working experience, who aspire to positions of greater responsibility and who want to achieve sustainable impact in their organizations. Throughout the programme, participants will have the opportunity to reflect on their experience, bring insights back to the classroom, and receive feedback from faculty and peers. Mentoring: Motivate/energize your organization using rapport to build trust and find common ground. Coaching: Expert and peer coaching to gain enhanced self- awareness of your own leadership approach. Hand-picked faculty: a carefully selected mix of academics and practitioners with many years of exposure in the field. During this five-day executive programme participants will be exposed to many different aspects of leadership – from channelling creativity effectively, to being able to inspire teams and audiences, and finally to negotiate to create value. Personal coaching and individual leadership feature just as prominently as networking. A method mix of case studies, role play, theoretic analysis and research ensure maximum learning impact. Frankfurt School of Finance & Management is a leading private business school based in Frankfurt am Main, Germany. We have 86 regional education centres throughout Germany and various joint ventures and programmes abroad. We offer top class degree courses and continuing education options in seven different programme divisions. We maintain four specialist research centres and run numerous international consulting projects all over the world through our International Advisory Services Department.